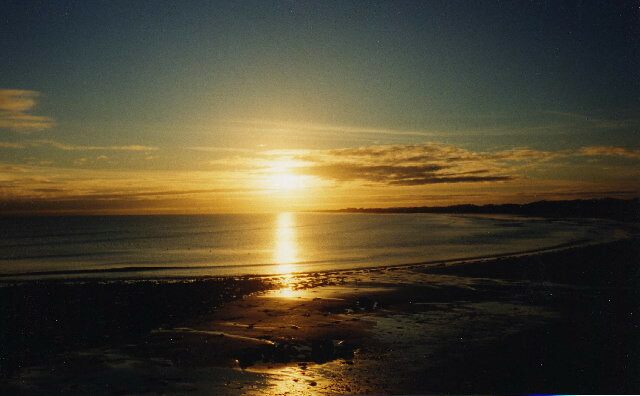 The A92 coast road to Aberdeen bypasses the little coastal town of Carnoustie, whose championship golf course is revered worldwide, and heads to Arbroath, 17 miles north east of Dundee. 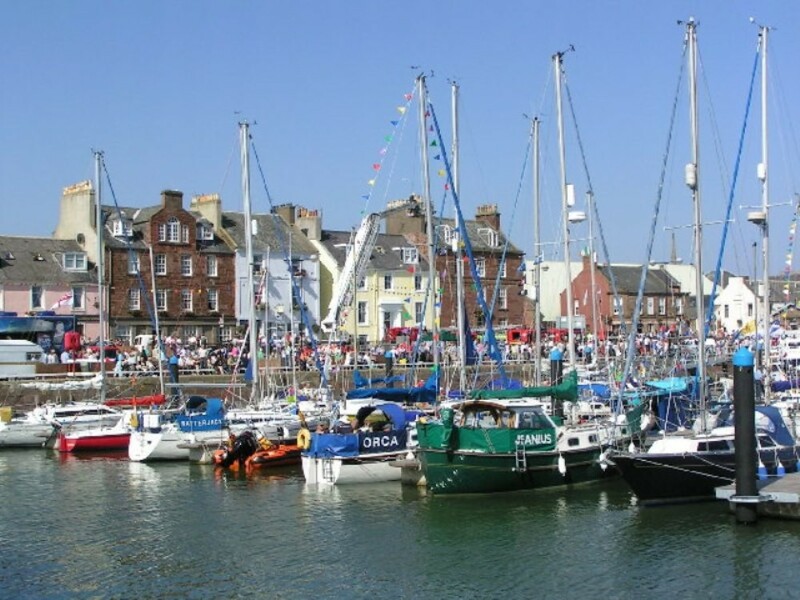 This is the home of that great Scottish delicacy, the Arbroath smokie - haddock smoked over oak chips - which you can buy in the tiny smokehouses around the harbour. 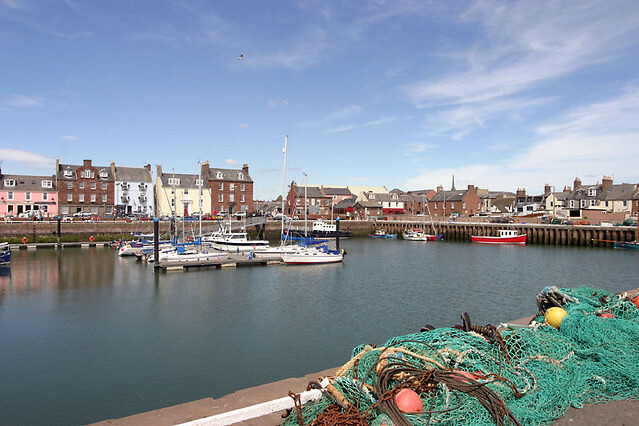 But though Arbroath was once a thriving fishing and trading port, today it has the look of a place that's down on its luck, with high unemployment and a town centre blighted by insensitive planning. 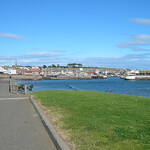 The Arbroath Smokie originated in the small fishing village of Auchmithie, three miles northeast of Arbroath. 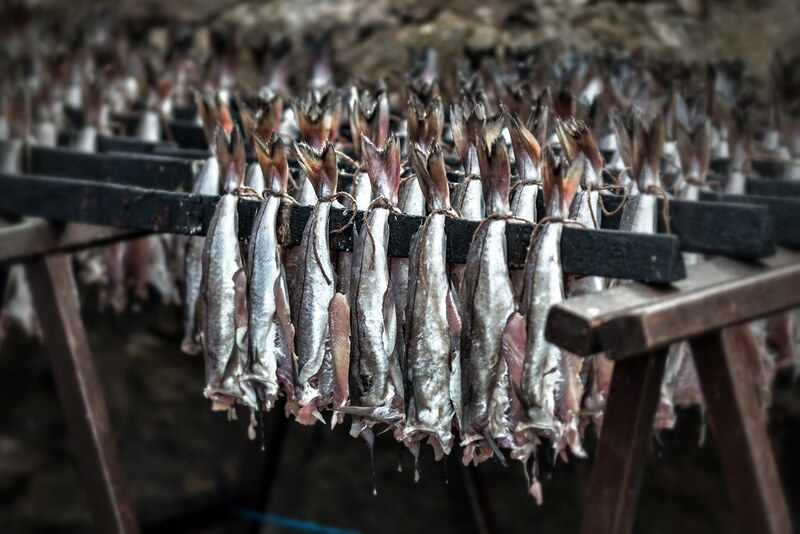 Local legend has it that when a fire destroyed a few huts of the local fishermen, some salt preserved haddocks kept on roof tops for drying caught fire, which the fishing community found quite tasty . 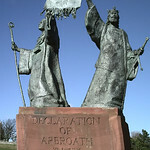 Arbroath town is also internationally renowned as the home of the Declaration of Arbroath, the statement of Scottish independence signed in the 14th century. 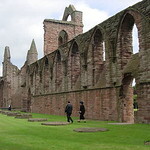 The town's ancient ruined abbey, which stood as a witness to the story of the declaration is now a key Scottish tourist attraction. 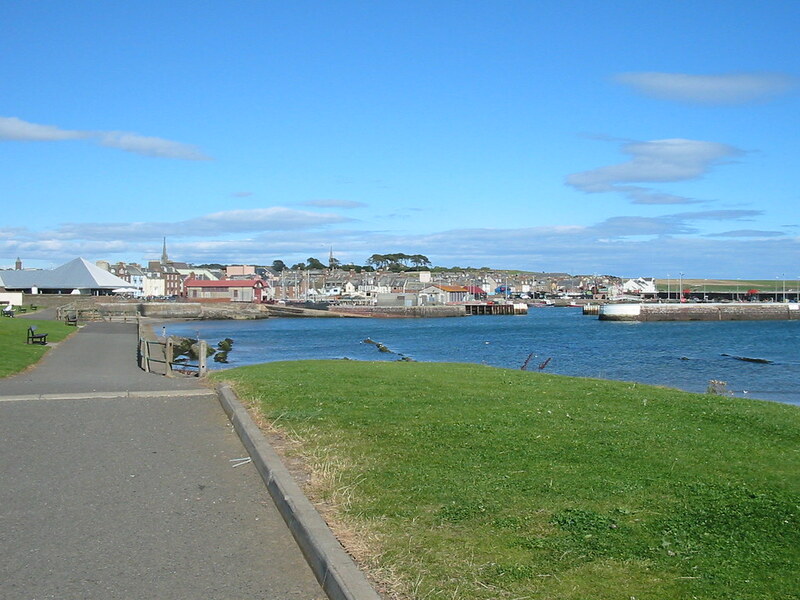 Arbroath was the birthplace of postal reformist James Chalmers and David Dunbar Buick, founder of Buick and inventor of the overhead valve engine. 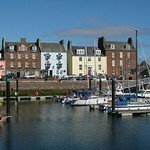 Arbroath is also well known globally as home to 45 Commandos of the Royal Marines. 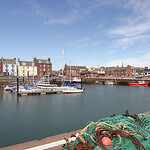 Arbroath has several churches, serving almost all Christian denominations with Church of Scotland, Roman Catholic and Episcopal churches in the town. 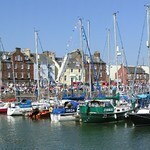 The tourism sector plays a vital role in the Arbroath economy. 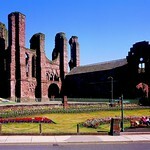 Arbroath Abbey alone attracts over 14,000 visitors each year. There is also a re-enactment of the signing of the Declaration of Arbroath- the declaration of Scottish independence - and in past years there has been a mock Viking invasion culminating in the burning of a long ship. 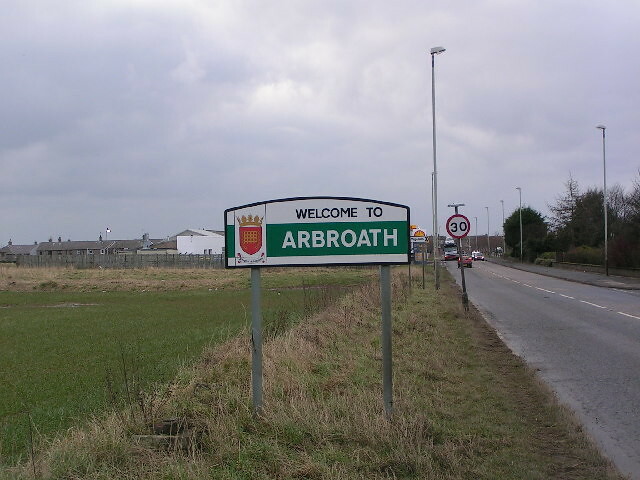 Arbroath is home to Kerr's Miniature Railway, the oldest miniature railway in Scotland, which has been operating since 1935 and which at its height, in 1955, saw 60,000 visitors. Now the railway is operated by some volunteers who took interest in retaining this railway service and the remains popular among locals, tourists and railway enthusiasts alike. Walkers and birdwatchers can set out on the Cliffs Nature Trail which stretches for one and a half miles along red sandstone cliffs to Carlinheugh Bay, where you can explore the interesting birdlife and rock formations along the way. The best place to eat is the cosy But'n'Ben restaurant, Tel. 877223, by the harbour in Auchmithie. Their seafood is superb and great value (mid-range). The Opurbo is Arbroath's newest Indian restaurant offering superb Bangladeshi and Indian cuisine as well as a select European menu. A restaurant which lives up to its name — Opurbo means 'excellent' in Bengali. Tel 430422. Colliston Inn - Country inn and restaurant. Log cabin and two rooms for hire. Beer garden available in summer. All produce locally sourced in Angus. 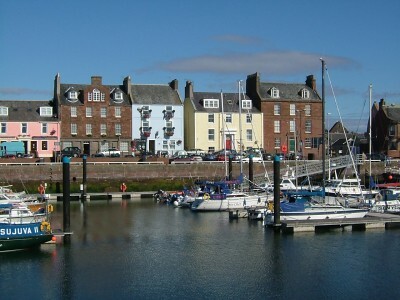 It will come as no surprise that Arbroath boasts an excellent fish and chip shop - Peppo's at 51 Ladybridge St, by the harbour (closed Sat). 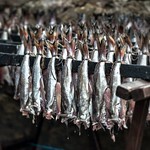 The Arbroath Smokie - probably the best kipper in the world!!! Haddock is smoked over hardwood which gives it that memorable aroma and taste that it is world famous for. There's nothing better than a smokie for your breakfast! 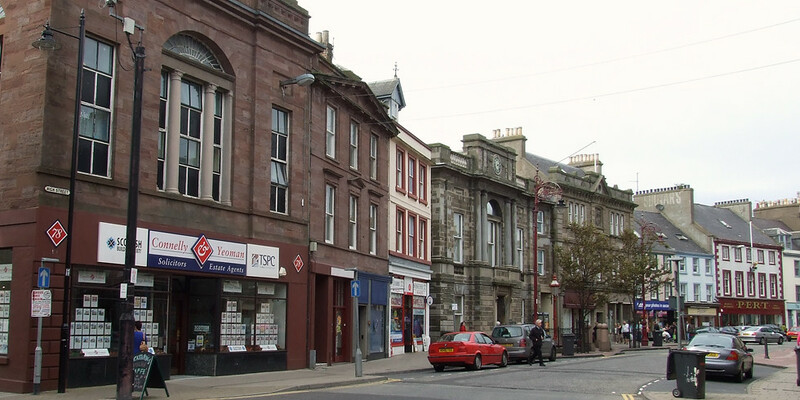 The train station is on Keptie St, about 5 mins' walk from the tourist office. The bus station is nearby, on Catherine St, Tel. 870646. 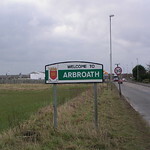 Arbroath is on the Dundee-Aberdeen rail line and there are trains every 30 mins to and from Dundee ( 20 mins). There are Scottish Citylink buses every 2 hrs to Aberdeen (1 1/2 hrs) via Montrose and Stonehaven, and to Dundee (25 mins). Strathtay Scottish, T01382228054, runs regular buses to Brechin via Montrose, and less frequently to Auchmithie. 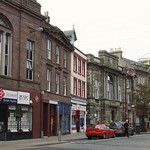 The Tourist Information Centre is on Market Pl, right in the centre of town, Tel. 872609. Apr-May Mon-Fri 0900-1700, Sat 1000-1700; Jun-Aug Mon-Sat 0930-1730, Sun 1000-1500; Sep Mon-Sat 0930-1730; Oct-Mar Mon-Fri 0900-1700, Sat 1000-1500. 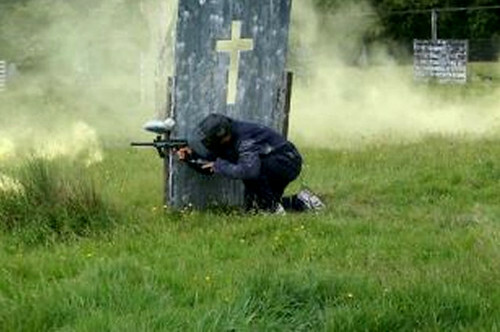 Enjoy a fun filled day at the paintball site with the very best equipment. Enjoy BBQ lunch after the shoot. 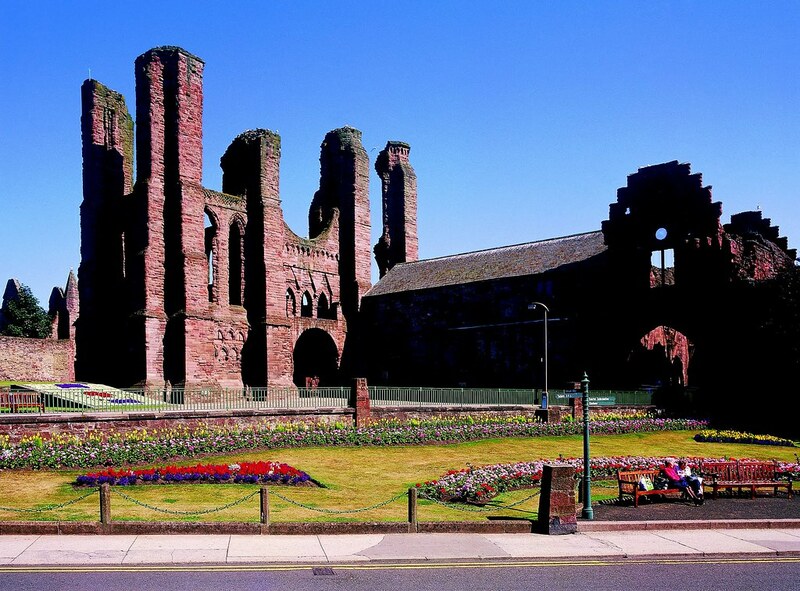 The chief attraction is undoubtedly Arbroath Abbey, on Abbey Street, near the top of the High Street not far from the tourist office. Founded by William the Lion in 1178 (who's buried here), it went on to become one of the wealthiest monasteries in the country. 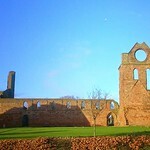 It is also one of the most important sites in Scottish history. 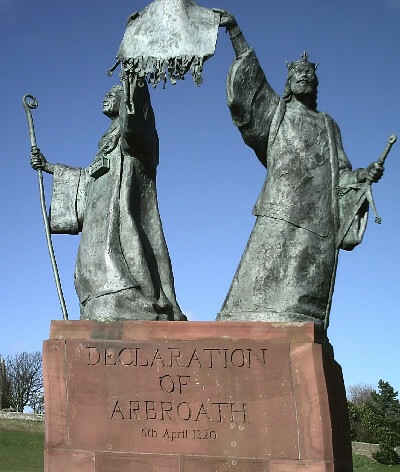 It was here, on 6 April 1320, that the Declaration of Arbroath (see National Archives document) was issued, asking Rome to reverse its excommunication of Robert the Bruce and recognize him as King, thus asserting Scotland's independence from England. Pope John XXII finally agreed to the claim four years later. You can buy copies of the declaration (the original is in Edinburgh) which contains the stirring words: "For so long as a hundred of us remain alive, we will yield in no least way to English dominion. For we fight, not for glory, not for riches, nor honour, but only for freedom, which no good man surrenders but with his life". 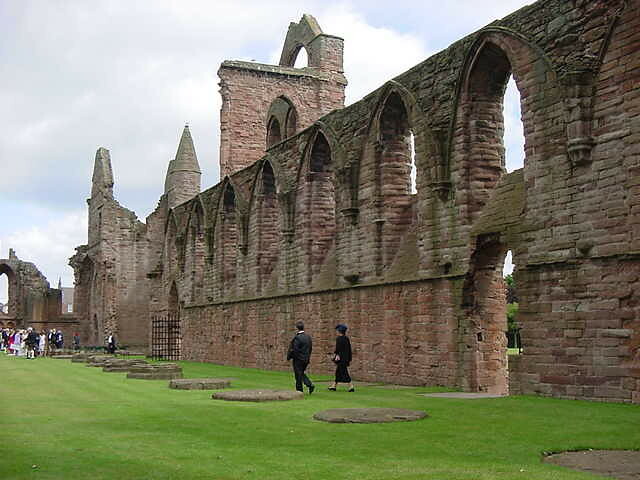 After the Reformation the abbey suffered badly and, like so many other important ecclesiastical buildings in Scotland, was used as a quarry for the building of the town. 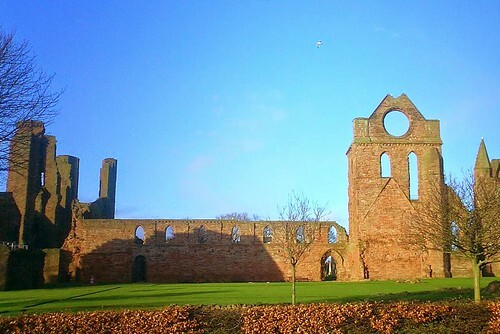 However, enough of the abbey survives to give you a good idea of just how magnificent it must have been; in particular the massive west front and the south transept (containing a circular window which was once lit up as a beacon to guide ships). In 1951 the Stone of Destiny found a temporary home here following its theft from Westminster Abbey by Scottish Nationalists. It was duly returned, where it stayed until its recent move to Edinburgh Castle. 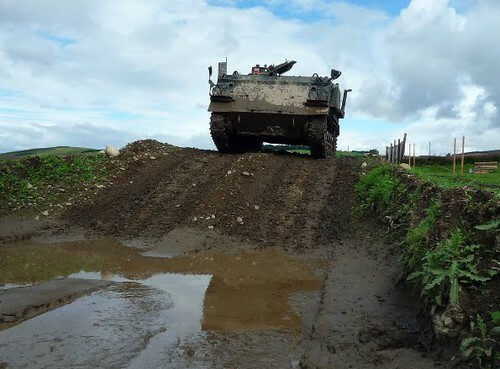 Apr-Sep Mon-Sat 0930-1830, Sun 1200-1830; Oct-Mar Mon-Sat till 1630, Sun 1400-1630. Tel. 878756. Beside the harbour is the Signal Tower Museum, housed in the elegant Regency building that was once the shore base and family living quarters for the keepers of the Bell Rock Lighthouse, 12 miles offshore. The museum has some interesting local history displays, including re-creations of a fisherman's cottage and a schoolroom. Mon-Sat 1000-1700, also Sun 1400-1700 in Jul-Aug. Free. Tel. 875598. A mile northwest of the town centre is St Vigeans, where the red sandstone church is perched right on top of a hill in the centre of the village. Beside the hill is tiny St Vigeans Museum, which contains an excellent collection of Pictish and medieval carved stones. Kerr's Miniature Railway, the oldest miniature railway in Scotland situated in West Links Park Arbroath dates back to 1935. 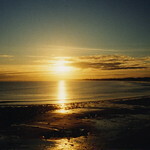 It runs a 1/2 mile ride along Arbroath's seafront on a scale 260 mm gauge line. It has 6 engines of which two are steam engines. The original owner, Matthew Kerr (senior) had managed it as a commercial business but since 1979 his son Matt Ker is running it as a non-profit concern by Matt with the help of a small group of volunteers. The red sandstone ruins of Arbroath Abbey dominate the small town on the east coast but in the past the abbey had a much wider importance in Scotland as a whole. 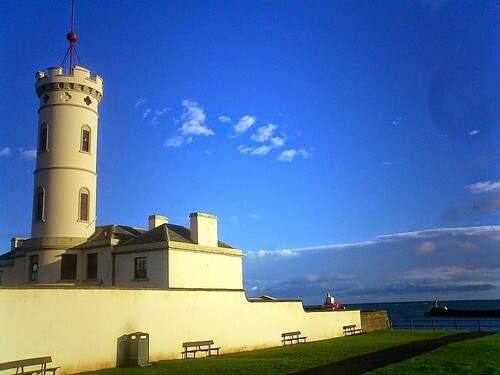 The Signal Tower Museum is near Arbroath harbour, in a complex of buildings originally used as the shore station for the Bell Rock Lighthouse. The museum chronicles the area's relationship with the sea and sea industries. 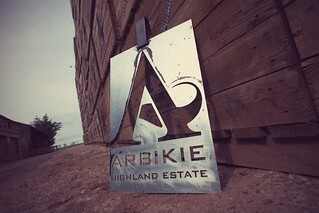 Small estate distiller in Angus who eschews whisky for the more contemporary Gins and vodkas. Very different to the traditional scottish distiller for sure!! Detached holiday house in Letham Grange near Arbroath. Sleeps fourteen people over 6 bedrooms.